Visiting Austin, Texas recently was tough for me, food-wise, because its the land of beef and I’m limited on how much beef I can eat on my low-salt, low-fat diet. I resolved that I would have a steak only one of my three nights in Austin. In the past, I likely would have had one every day. My wondrous Roaring Fork Angus fillet. A high school friend told me his daughter recommended we try Roaring Fork, so we walked there one night for dinner. It was much more upscale looking than I would expect a Millennial to recommend, but we were up for it and I really wanted a great fillet, the only steak I order these days because it is the leanest beef. The Fork, which is part of a chain as far as I can tell from its website, specializes in Angus beef, so I ordered the Angus fillet. The menu doesn’t list it. I’m assuming steaks change nightly from the menu language, so I was very, very glad it was available. I ordered it rare, as usual. 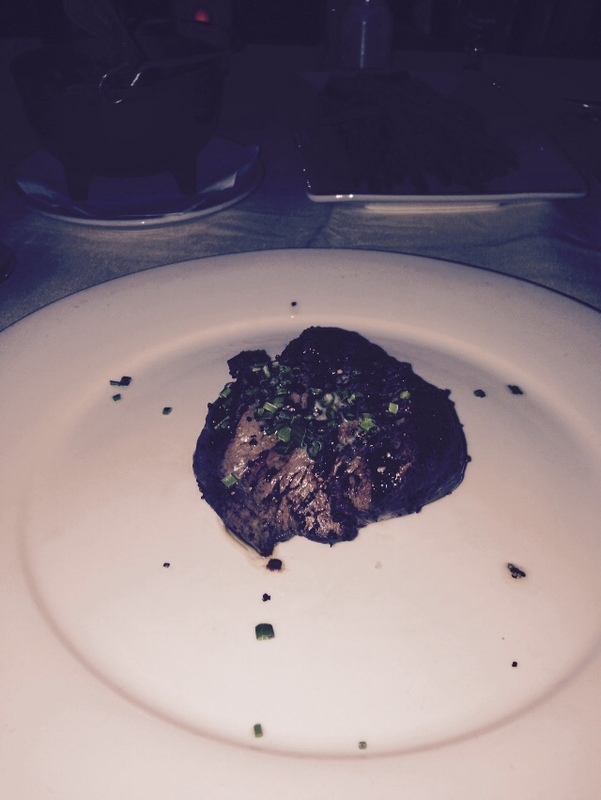 A good quality fillet served rare can literally melt in your mouth…and this one did just that. It was sumptuous beyond description. We had asparagus and mushrooms as sides, which also were good, but the steak was definitely the star. If I get to Austin again, I’m going here for a steak. It also has a Scottsdale AZ. location for you retirees out there.